Idealpos provides a facility to keep track of each employee in regards to the hours that they are at work.. The Employee Log will record when clerks log on, log off and take breaks. For added security, clerks can be assigned with user defined passwords. Managers and Supervisors have the ability to edit the Employee Log if needed. The employee log can be printed out to assist in calculating payroll details. Idealpos can also calculate the labour cost of an employee by their hourly rate and the amount of time that they are at work (minus any breaks). 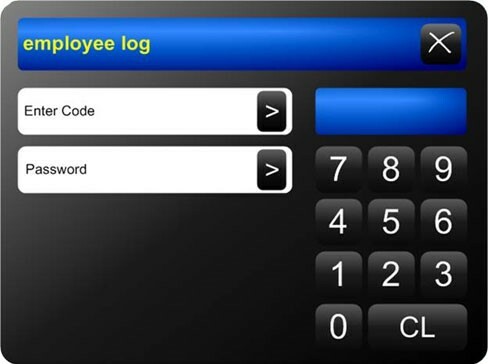 Employees can log in or out with a Number, Swipe Card or RFID. Employees can be assigned a Cash Drawer which will be allocated to only them for the duration of a shift.